We've successfully run The UX Conference in London on June 13th in 2017 and had plenty of happy guests. Watch highlights from our previous conference. The conference is organised by The School of UX. Big thanks to our partners and friends for their support: Balsamiq, Axure, Loop11, UsabilityHub, Optimal Workshop. 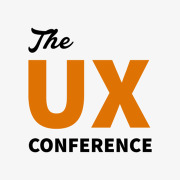 Any questions – just email us at team@theuxconf.com.